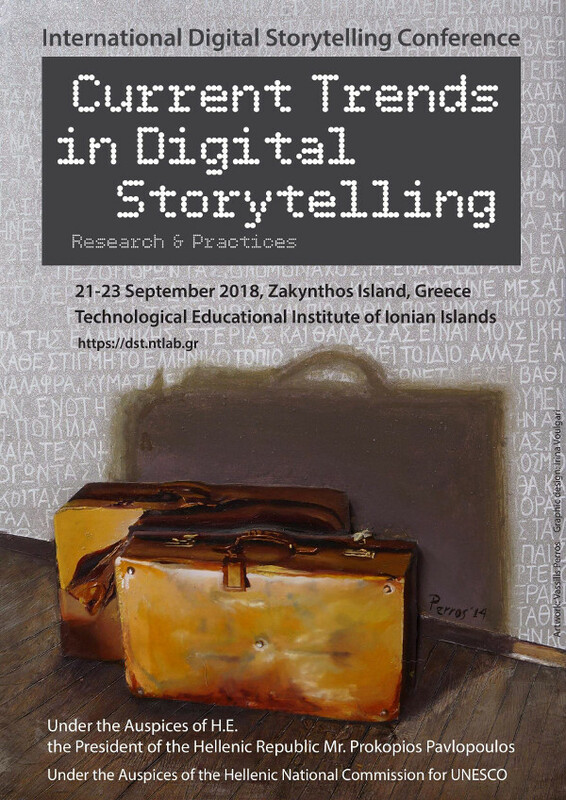 The theme of the conference, “Current Trends in Digital Storytelling: Research & Practices”, signifies the transitional phase of Digital Storytelling (DST) towards an established community of research and practice. At this pivotal point, it is crucial to obtain a reflective mapping of the major current trends of research and practices in DST, emphasising the convergences and the divergences in the various perspectives, which crucially nurture and form the complexity of this diverse, yet functionally linked community. The conference is scheduled from 21st to 23rd of September 2018. The conference will be hosted by the Technological Educational Institute of Ionian Islands in Zakynthos (Zante), Greece. Zakynthos is one of the most beautiful islands in Greece offering unique natural attractions and places of historical and cultural interest, thus being a highly popular tourist attraction. The conference dates were purposefully chosen to offer excellent weather conditions with relatively lower number of visitors. A warm "thank you" message to all participants and useful information regarding the submission of full papers. The Conference Programme [final] has been announced.